Some people like to beat the heat with swimming pools and frosty beach drinks. For me, summer's scorching temperatures are best cooled by shivering through the pages of scary, suspense-filled books! 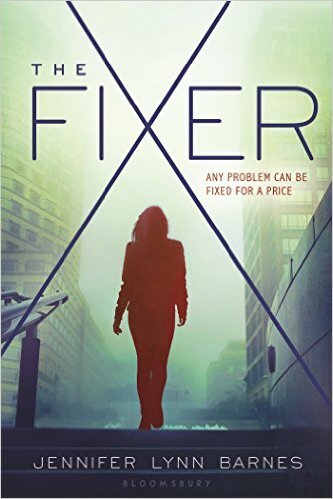 My copy of THE FIXER by Jennifer Lynn Barnes is packed and ready for my Thursday cross-country flight. Having gone to college and worked in Washington, DC, I have a soft spot for that setting--also the scene (well, thereabouts) of my favorite television show, THE AMERICANS! Plus, Jennifer Lynn Barnes is an honest-to-goodness PhD scientist and all that brainiac-ness (?!) shines through her sharp prose. 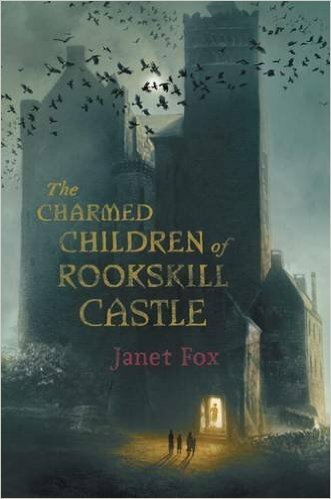 The enthusiasm of my Viking editor, Kendra Levin, for this star-review-laden project made me race to the bookstore for Janet Fox's THE CHARMED CHILDREN OF ROOKSKILL CASTLE. I started it as my plane took off from JFK and finished, breathless and sleepless, as I touched down in Amsterdam a last week. Set in a Scottish castle during WWII, this creepy and compelling tour de force is anchored by a feisty-yet-realistically-insecure main character, Kat. And Janet Fox is a true writer's writer, Vermont College MFA, and insightful student of the craft. What do you do to keep cool? Have any shiver-worthy titles to recommend? TWEET ME!